Welcome to the Reviews/Responses page. On this page is a listing of all the reviews, responses, and critiques of specific works (such as books, articles, blogs, etc.) that I have posted on this blog. Reviews (including responses and critiques), I feel, play an important role in the ongoing dialogue on Mormonism that exists on the internet, in academia, and other venues. It is in reviews where ideas can be examined and tested, and authors can be held accountable for the information they circulate. Information, thoughts, and theories are exchanged and critiqued in (generally/ideally) healthy and constructive ways, thus allowing the discussion to advance and move forward. As I try to become more involved and integrated into this dialogue, reviews, responses, and critiques will become a greater part of the content here on this blog. As new reviews are posted, they will also be added here to the listings on this page for the sake of easy and convenient access. 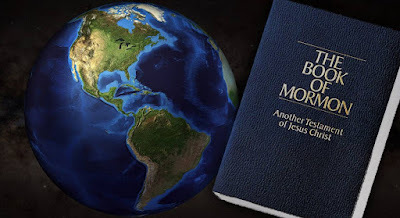 Does the Book of Mormon Promote Socialism? Cumorah, Cumorah, Where art Thou, Cumorah? Top Secret Research Hidden on YOUR Coffee Table!